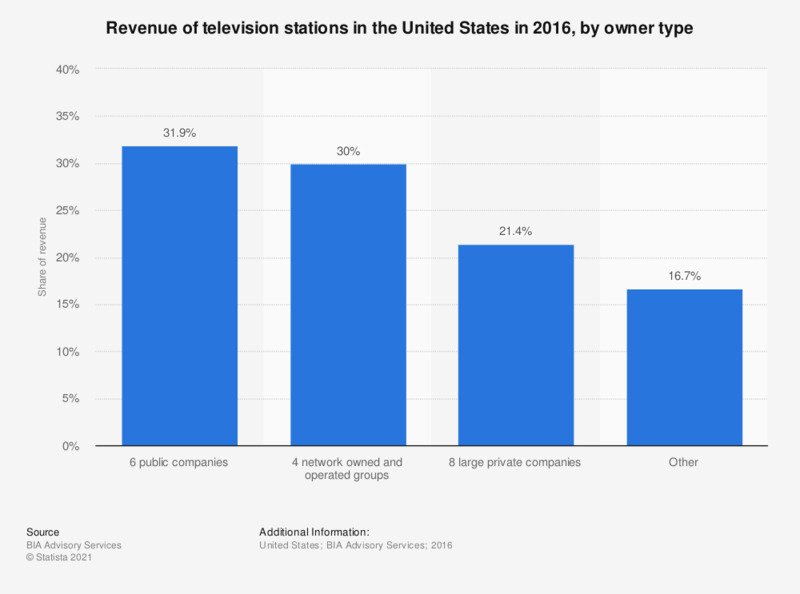 This statistic presents the revenue of television stations in the United States in 2016, sorted by owner type. According to the source, 30 percent of television stations in the U.S. were owned by four network owned and operated groups. There were a total of 1,780 commercial TV stations in the United States in 2015, a slight increase from the 1,753 in 2005. In 2015, mergers and acquisitions transactions in the local TV station industry were worth 3.07 billion U.S. dollars.